PRODUCT DESCRIPTION: Bracelets which look like a watch band that release an odor making it hard for gnats to identify you as a target. Gnats don't like the odor that is released and will stay off people that are wearing them. WHERE TO USE IT: Anywhere you have children or adults out and about where gnats are active. 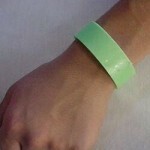 The bands are great for hiking, boating, fishing or even for use in your back yard. 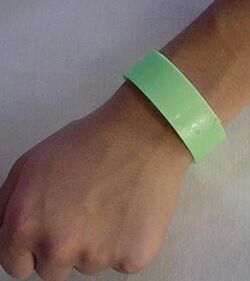 RATE OF APPLICATION: Though one band is good for up to 40 hours of use, in some cases wearing two may be needed. Be sure to seal them in a baggie when not being used to enable them to last as long as possible. Use around your ankles if mosquitoes are low or if you have chiggers you need to repel.